The findings will be presented today at the annual meeting of the American Academy of Ophthalmology in Chicago. “This finding is significant,” says senior author Sophie J. Bakri, M.D., “because it showed that patients with VMID are not necessarily treatment resistant for AMD.” She also says it may help physicians not give up on treating such patients, and understand the need for more doses of medication for those with VMID. 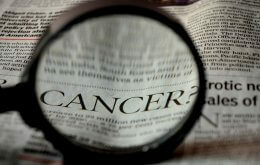 Researchers say more study is needed, including a prospective clinical trial.